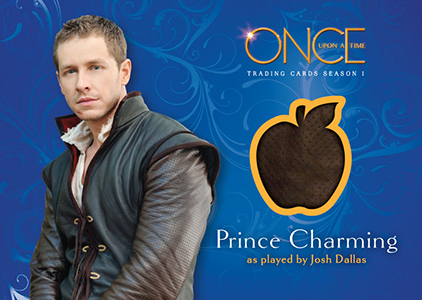 2014 Cryptozoic Once Upon a Time Season 1 trading cards mark the debut of the popular fantasy series in the hobby. 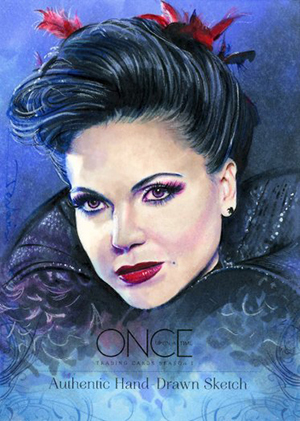 The show bridges the real world with popular fairy tales in a lush mash-up. Rather than the traditional pack route, the set is being distributed as a premium factory set. 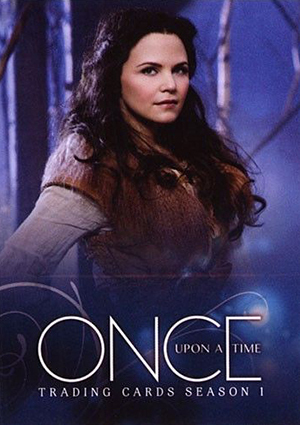 For those not familiar with the show, Once Upon a Time takes place in a small Maine town called Storybrooke. Its residents are actually the fairy tale characters generations have grown up with. However, they're cursed and don't know of their true selves thanks to a wicked queen. 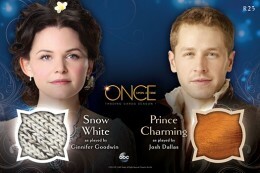 Stars in the show include Ginnifer Goodwin, Jennifer Morrison, Josh Dallas, Lana Parrilla and Robert Carlyle. Cryptozoic has acknowledged that they don't have a ton of assets to work with so the set isn't going to be sweeping in scale. This is reflected in both the base set and inserts. 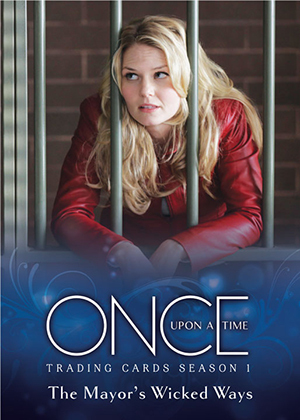 The 2014 Cryptozoic Once Upon a Time Season 1 base set has 45 cards covering the first 22 episodes of the series. Each factory set includes all 45 cards plus a handful of inserts. The Price of Magic is the set's lone basic insert set. The foil cards look at the importance of magic within the show's world. Every set has a pair of these inserts. However, the main chase elements are the Autographs and Wardrobe Cards. Wardrobe Cards feature swatches of costumes from the show. Each factory set has four total hits. This includes one Autograph and two Wardrobe Cards. The final card is either a second autograph or a third memorabilia card. Sketch Cards are randomly inserted but are extremely tough. They land 1:25 box sets. The set also has 25 redemption cards good for an over-sized Quad Wardrobe Card. 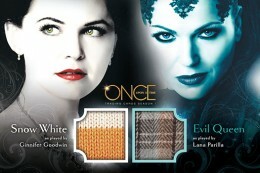 The double-sided card has Snow White and the Evil Queen on the front. Snow White and Prince Charming are on the back. Redeemed cards measure 4" x 6". 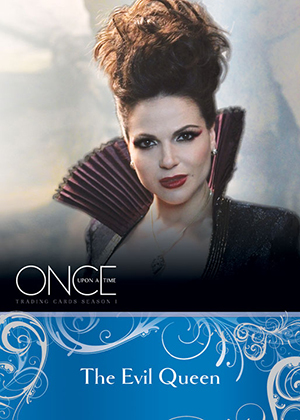 2014 Cryptozoic Once Upon a Time Season 1 Evil Queen Wardrobe Card. Please note this checklist is tentative and subject to change. 45 cards. Shop for base sets on eBay. 11 cards. Inserted 1 or 2 per set. Click here for a full gallery. 9 cards. Inserted 2 per factory set. 14 cards. M14 exclusive to binder. The following is a list of artists contributing sketch cards to the product. Available via redemption. Measures 4" x 6". Inserted 1:80 box sets. Features Snow White and the Evil Queen on the front and Snow White and Prince Charming on the back. I’ve never seen my eldest daughter so excited about anything in ages when I showed her these! !